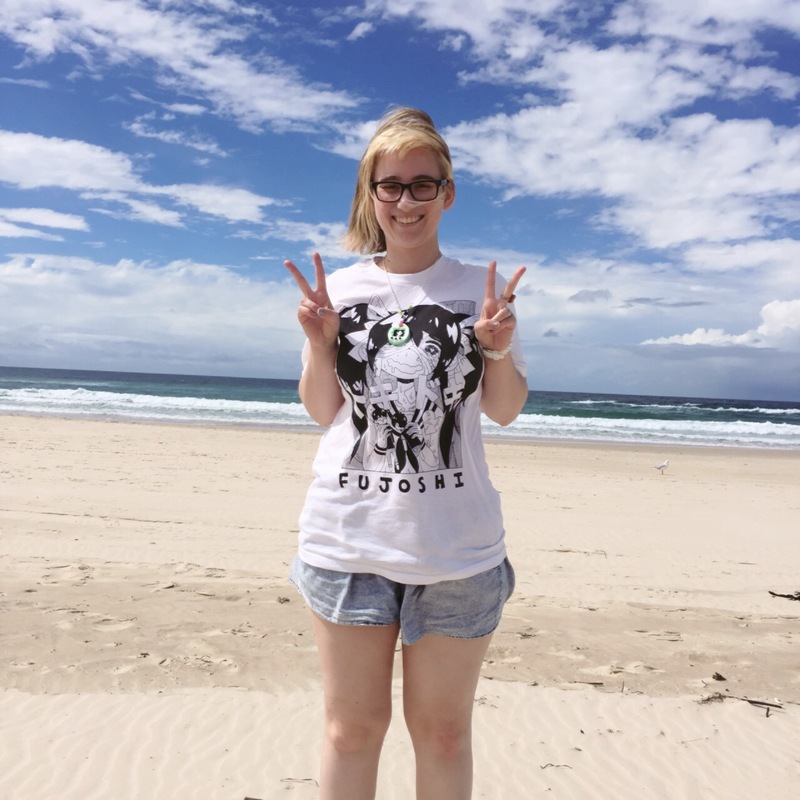 Amazing fujoshi shirt by omocat! To view my portfolio, click here! Hello! Since you’ve made your way over to this page, I suppose you’d like to learn a little more about the gal behind Chic Pixel. I started this blog as a way to share my love for nerdy Japanese things, particularly otome games, shojo manga, and cute merchandise. Since Chic Pixel was founded in 2011, it has expanded to include a podcast on anime and games as well as a YouTube channel where I try Japanese snacks and show off my latest merchandise hauls. I currently live in Brisbane, Australia, but I was born and raised in the United States and have lived in Japan a number of times, including a one year exchange at Kwansei Gakuin Daigaku during my undergraduate studies. I’m always looking forward to my next trip back! If you’d like to get in touch with me, Twitter is probably the quickest way to get my attention. If your inquiry will take more than 140 characters, feel free to shoot me an email. I encourage you to look at my Portfolio page for details on my consulting and freelance rates if you have a significant query. I look forward to hearing from you! Finally, if you’ve enjoyed your time at Chic Pixel and would like to know how you can help the site, please check out the Support page! Please note that some posts on Chic Pixel will contain affiliate links. When you purchase an item using one of my links, I earn a small commission. It’s a great way to do your shopping and help support the site at the same time!